The following are the jntu kakinada B.Tech syllabus for all branches of 4-1, 4-2 and you can download them here easily. Here you can find the syllabus books of Civil, EEE, Mech, ECE, CSE, IT for 4th year 1st and 2nd semesters. 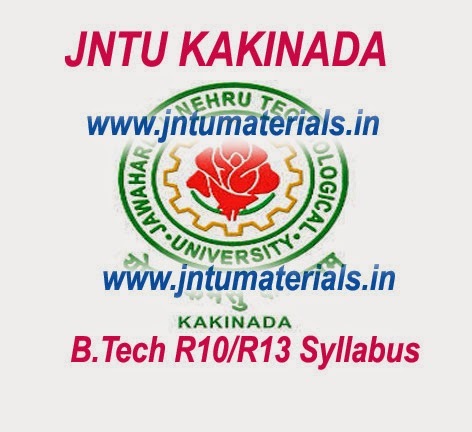 jntumaterials provides all jntu kakinada materials, syllabus books, previous question papers, important question for external examinations, online bits for jntu mid examinations for both first and second mid. For all updates stay with us.